Following stunning reviews and standing ovations across the globe, the fantastic Tedeschi Trucks Band are proving a very hot ticket indeed. The band quickly sold out two London Palladium Shows this month following previous sold out shows at Indigo and the Royal Albert Hall in London. 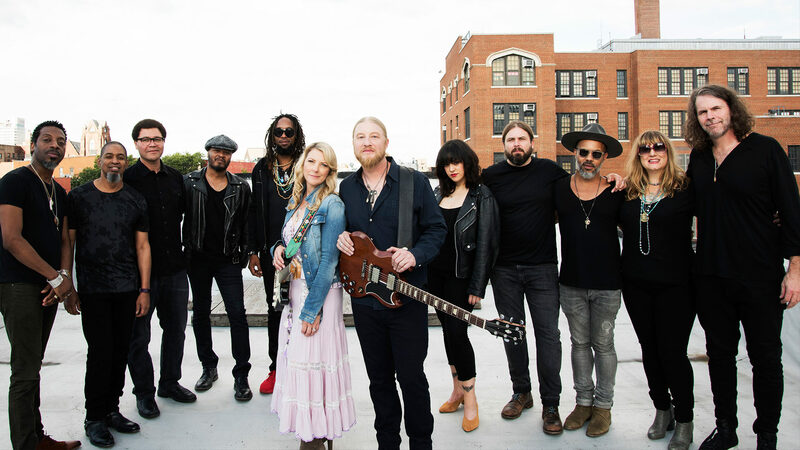 On the heels of these sell out shows, Tedeschi Trucks Band will now play their biggest European show to date at The SSE Wembley Arena London on Saturday 1st February 2020. Due to their planned reduced touring schedule for next year, this will be their only European show of 2020. The band is currently on a sell-out worldwide tour in support of their brand new album ‘Signs’, including a 6-show run at New York’s fabled Beacon Theatre. The Wembley show next February will be the biggest show on their 2020 tour. Tedeschi Trucks Band carries a distinguished reputation as one of the premier live bands performing today as they head into their tenth year together. Led by Derek Trucks’ stinging fretwork and Susan Tedeschi’s naturally stunning, emotive vocals and guitar talents, the 12-member strong collective continues to expand musical boundaries in ways that only a rare calibre of musician can achieve. ‘Signs’, released earlier this year, is the band’s fourth studio album. Commanding performances and exceptional musical chemistry – hallmarks of the can’t-miss-concert experience fans have come to anticipate live – are evident throughout the album’s eleven original tracks. From uplifting soulful anthems, to bittersweet ballads and driving rock and roll, Tedeschi Trucks Band delivers a sound and message that taps tradition while also extending the edges of American music with a genre defying collection that is all their own.